The next meeting of the Portsmouth Autism Community Forum will be on Thursday 28 February 2019 10-11:30am at the Buckland Community Centre, Malins Road, Portsmouth PO2 7BJ. 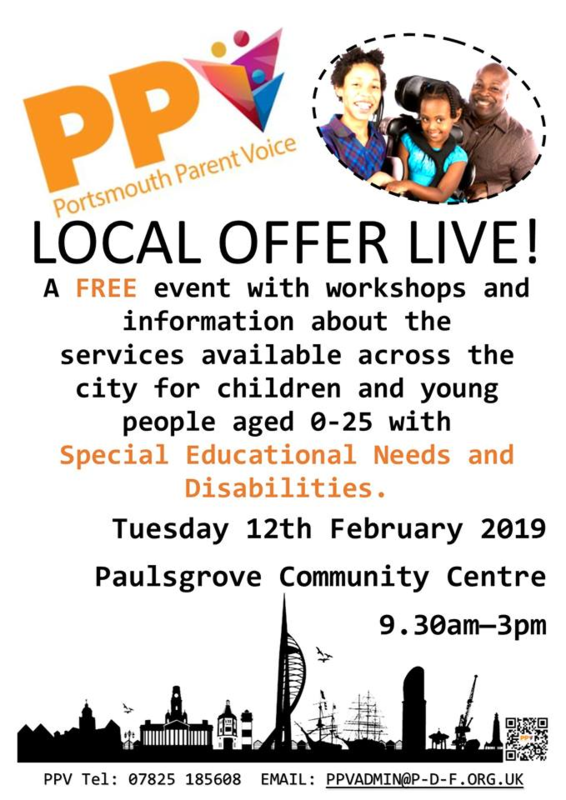 On 12 February 2019 Portsmouth Parent Voice will be running Local Offer Live – a day of workshops and information about the different services across the city for children and young people up to 25 with special needs and disabilities. Brain Tumour Support has arranged regular support group sessions on the second Thursday of the month 1:30-3pm at the Rowan’s Living Well Centre in Purbrook. The sessions are for anyone affected in any way by a brain tumour diagnosis. Brain Tumour Support Worker Tessa Murphy will be there to offer advice and information.